TYPE 1 ROLEX-inspired BAPEX wristwatch. The sought-after time piece comes back in a fresh gold rendition with a black dial and watch face tricked out with gold accents. It’s a must for all BAPE-heads. 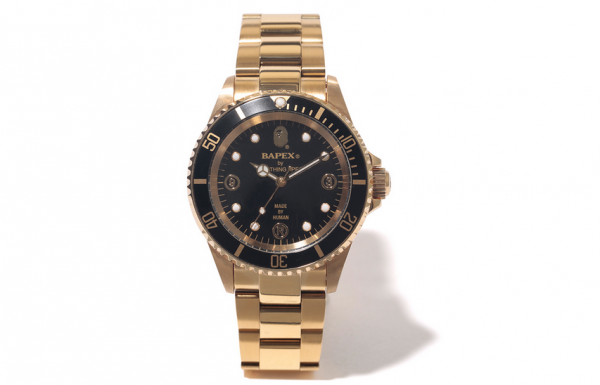 The TYPE1 BAPEX is available right now over at the BAPE online shop as well as all the brand’s flagship retailers worldwide in very limited quantities.